Canadian employers, recruiters and postsecondary admissions staff are beginning to recognize the value of taking a gap year, but just taking time off from school or work doesn't quite cut it. As the trend continues to gain traction in Canada, those who spend their time sifting through resumes and applications have recognized that some gap years are better spent than others. Some approaches look better on a resume or application than others. "Personally, I have always found details about what someone opted to do during a gap year or when volunteering to be quite insightful, telling me a story about what makes the applicant tick," said Beverly Marinucci, the director of service delivery for Workopolis. Gap years are also no longer just limited to students entering university. A recent survey of 1,000 U.S. citizens by Hostelworld found that over a quarter of respondents had taken a gap year, and nearly 60 per cent of them were taken after university. "[Gap years] do help set them apart a bit more," said Carrie Kelly, the director of the graduate program office at the Goodman School of Business at Brock University. Kelly oversees all admissions for applicants to the business school's graduate diplomas and degrees. "They just seem to be more committed, more settled down, more sure of what they want." While there are many ways to spend the time off from work or school, Marinucci and Kelly agree that some approaches look better on a resume or application than others. 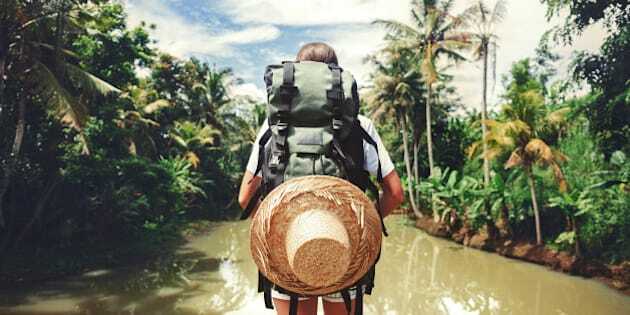 Here are eight ways to make the most out of your gap year. You'd hope it would go without saying, but Kelly says she's seen it on student applications in the past; taking a gap year is different than going on vacation, and anyone who looks at your resume will quickly identify the difference. "If they were to just be travelling on vacation, maybe spent a few months in Europe backpacking, that doesn't hold much weight," she said. That's not to say that travel isn't a highly valuable asset for those taking a gap year, but some travel is considered more valuable than others. "International experience and international exchanges are becoming a lot more common," said Kelly. "Just having international volunteer or work experience, knowing multiple languages, especially in business, that can add to the value of the application." Whether you're seeking work experience at home or abroad, the more relevant it is to your career ambitions or field of study, the more beneficial it will be when submitting an application or resume. "That strongly indicates that that's their area of interest; that they've worked in that area and they're more certain that's the area they want to pursue," said Kelly, adding that there's a practical reason why admissions staff prefer seeing relevant work experience. "They're statistically more likely to continue in the program once they get in. The dropout rate won't be as high." Furthermore, Kelly explains that students are typically able to find more prestigious placements in co-op programs if they've already completed an entry-level position in that field. She adds, however, that any work experience is better than no work experience, even if it's not directly relevant. No matter how relevant the position is to your future career or educational ambitions, it's vitally important to leave on good terms. After all, applicants who have taken a year off are commonly asked to prove they were productive during that time, and a negative review could suggest they just aren't ready to return to school or work just yet. "What you don't want to see is students that use their employers for references and they're not very favourable," said Kelly. "That has happened a lot, surprisingly." For many, the gap year is a dizzying period filled with unique experiences and accomplishments. No matter how they spend that year, however, many will find themselves struggling to put all of those experiences into words at the end of it all, said Kelly. Instead she suggests keeping track of accomplishments as they happen, making it easier to translate those experiences onto an application when the year comes to an end. "We even talk to our students about making sure everything they're doing, if they're volunteering, working, or going the extra mile, that they document it and they keep a record of it," she said. "Anything that adds value to your resume will make a difference, so you don't want to forget it." While there may be seemingly infinite ways to give back during a gap year, Joel Nicholson, founder of UniversityHub.ca -- an online resource that provides support to tens of thousands of university-bound students -- suggests favouring opportunities that are personally meaningful above those that might look better on an application. "You can find awesome programs that focus on any cause that you can think of," he said. "Find something that really resonates with you, and that way you'll become even more passionate to make a change." While there are also infinite job opportunities for those pursuing a gap year, finding a skill that can earn money over the Internet provides a number of advantages over a traditional, in-person job, suggests Nicholson. "Once you learn a skill -- whether its social media marketing or blog post writing or detailed data analytics -- you can go online onto these freelancer communities and get hired," he said. "You can earn great money, and the benefit of that is you can do it anywhere, particularly somewhere with a very low cost of living, so your net profit for that year would be higher than if you worked a traditional part-time student job with the cost of living you would endure back home in Canada." While volunteer and work experiences will help get students and job applicants further along during the application process, employers and admissions staff often expect those who have taken a gap year to demonstrate superior self-awareness and adaptability when they sit down for an interview. "The number one skill is allowing yourself to be articulate about what you seek out of your university experience in terms of what you actually want to get out of it, what kind of person you want to become," says Nicholson. "If you can do that, that separates you from 99 per cent of the people applying to university." "Each individual activity one undertakes during a gap year ultimately helps build this intangible quality," adds Marinucci. "These are all characteristics that display a 'well roundedness' that we hope to see in students entering post secondary education, our companies as our newest employees, and our communities as future leaders," she said.